Happy Holidays! There’s nothing like the sight of a beautifully decorated home with dazzling lights to signal the holidays. We love to see our communities sparkling with magnificent light and festive displays, and what can be more joyous this time of year with the holidays coming alive with the magic of glittering lights? Crafting a winter wonderland with lights, garlands and wreaths, takes time and hard work and expertise to produce that perfect touch of holiday cheer for your home. With the help of Christmas Decor holiday decorating professionals, your home could be the envy of the neighborhood and truly be its holiday best. 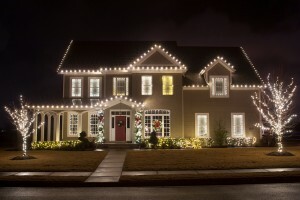 As the recognized professionals in the area, we will evaluate and map your property, listen to your desires and create a holiday lighting and decorating plan that accentuates the unique features of your home. Providing a comprehensive array of decorating options – including energy efficient LED lights, supplies, decorations and manpower, Christmas Decor can transform your home into a spectacular wonderland for you to capture the spirit of the holidays. 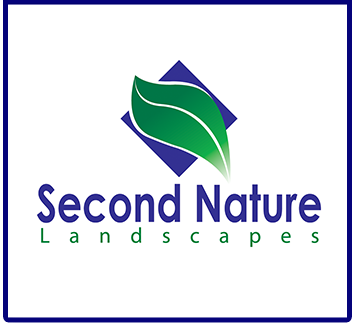 Our customers appreciate the service. 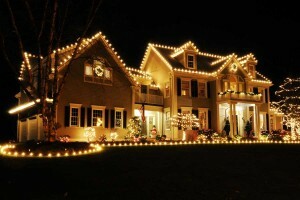 Each one of our installations is a reflection of the homeowner’s personality and love for the holidays. We’ll follow the lines of your roof, windowsills and other elements of your home, and highlight existing shapes with lights, ornaments and displays. We’ll work with the design of your home – not work against it. Quality holiday decorating, especially lighting, takes time, design skills and knowledge of electrical capabilities and we are properly trained to make sure the installation is done right. Discover what so many people in our area knows to be a great hassle-free option for holiday decorating. We’ll make sure that your display is done in a delightful and tasteful way so call today and change the course of Christmas!